Whatever the function of the Mont Pelerin Society may have been in the immediate aftermath of WWII, at the time of my encounter with it, I did not find it particularly to my liking. To be sure, I met many bright and interesting people. But essentially, Mont Pelerin Society meetings were junkets for “free-market” and “limited-government” think-tank and foundation staffers, their various professorial affiliates and protges, and the principal donor-financiers of it all, mostly from the U.S., and more specifically from Washington D.C. Characteristically, Ed Feulner, long-time President of the Heritage Foundation, the major GOP think-tank and intellectual shill to the welfare-warfare state politics of every Republican government administration, from Reagan to Bush, Junior, is a former Mont Pelerin Society president and, more significantly, has been its long-time treasurer. There had been skepticism concerning the Mont Pelerin Society from the beginning. Ludwig von Mises, Hayek’s teacher and friend, had expressed severe doubt concerning his plan simply in view of Hayek’s initial invitees: how could a society filled with certified state-interventionists promote the goal of a free and prosperous commonwealth? Essentially, this was also my first impression when I came in contact with the Mont Pelerin Society and this impression has been confirmed since. The Mont Pelerin Society is a society in which every right-wing social democrat can feel at home. True, occasionally a few strange birds are invited to speak, but the meetings are dominated and the range of acceptable discourse is delineated by certified state-interventionists: by the heads of government-funded or connected foundations and think-tanks, by central bank payrollees, paper-money enthusiasts, and assorted international educrats and researchocrats in and out of government. No discussion in the hallowed halls of the Mont Pelerin Society of U.S. imperialism or the Bush war crimes, for instance, or of the financial crimes committed by the Federal Reserve Bank — and no discussion of any sensitive race issue, of course. But then: Hayek did have much to do with what the Mont Pelerin Society had become. 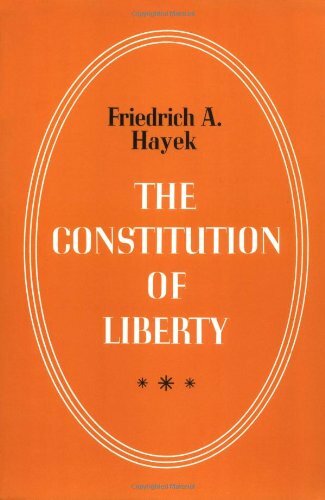 For, as Mises could have known already then, and as would become apparent at last in 1960, with the publication of Hayek’s Constitution of Liberty, Hayek himself was a proven interventionist. 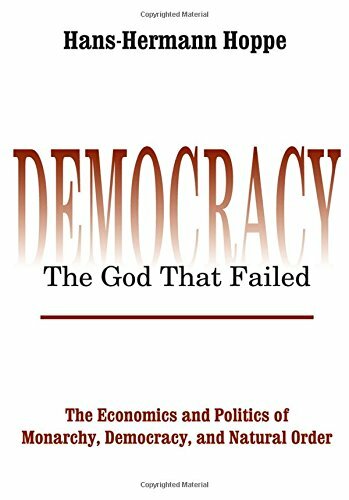 In the third part of this famous book, Hayek had laid out a plan for a “free” society so riddled with interventionist designs that every moderate social-democrat — of the Scandinavian-German variety — could easily subscribe. When, at the occasion of Hayek’s 80th birthday in 1979, the Social Democratic then-Chancellor of West Germany, Helmut Schmidt, sent Hayek a congratulatory note proclaiming “we are all Hayekians now," this was not an empty phrase. It was true, and Schmidt meant it. What I came to realize, then, was this: The deplorable development — as judged from a classic-liberal vantage point — of the Mont Pelerin Society was not an accident. Rather, it was the necessary consequence of a fundamental theoretical flaw committed not only by Hayek but, ultimately, also by Mises, with his idea of a minimal state. This flaw did not merely afflict the Mont Pelerin Society. It afflicted the entire “limited-government” think-tank industry that had sprung up as its offspring since the 1960s throughout the Western, U.S.-dominated world, and for which the Mont Pelerin Society had assumed the function of an “International." The goal of “limited” — or “constitutional” — government, which Friedrich Hayek, Milton Friedman, James Buchanan and other Mont Pelerin Society grandees had tried to promote and that every “free-market” think-tank today proclaims as its goal, is an impossible goal, much as it is an impossible goal to try squaring the circle. You cannot first establish a territorial monopoly of law and order and then expect that this monopolist will not make use of this awesome privilege of legislating in its own favor. Likewise: You cannot establish a territorial monopoly of paper money production and expect the monopolist not to use its power of printing up ever more money. Limiting the power of the state, once it has been granted a territorial monopoly of legislation, is impossible, a self-contradictory goal. To believe that it is possible to limit government power — other than by subjecting it to competition, i.e., by not allowing monopoly privileges of any kind to arise in the first place — is to assume that the nature of Man changes as the result of the establishment of government (very much like the miraculous transformation of Man that socialists believe to happen with the onset of socialism). The strategy of Hayek and of the Mont Pelerin Society, then, had to fail. Instead of helping to reform — liberalize — the (Western) State, as they intended (or pretended?) to do, the Mont Pelerin Society and the international “limited-government” think-tank industry would become an integral part of a continuously expanding welfare-warfare state system. Indicators for this verdict abound: The typical location of the think tanks is in or near the capital city, most prominently Washington, D.C., because their principal addressee is the central government. They react to measures and announcements of government, and they suggest and make proposals to government. Most contacts of think-tankers outside their own institution are with politicians, government bureaucrats, lobbyists, and assorted staffers and assistants. Along with connected journalists, these are also the regular attendees of their conferences, briefings, receptions and cocktail parties. There is a steady exchange of personnel between think tanks and governments. And the leaders of the limited government industry are frequently themselves prominent members of the power elite and the ruling class. The State and the free-market think-tank industry thus live in perfect harmony with each other. They grow together, in tandem. For limited government advocates such as Hayek and the entire free-market think-tank industry, this is an embarrassment. They must try to explain it away somehow, as accidental or coincidental. And they typically do so, simply enough, by arguing that without their continued funding and operations matters would be even worse. But the embarrassing facts are not accidental or coincidental and could have been systematically predicted — if only one had better understood the nature of the state, and did not believe in miracles. As a territorial monopolist of legislation and the money-printing press, the State has a natural tendency to grow: to use its “fiat” laws and “fiat” money to gain increasing control of society and social institutions. With “fiat laws," the State has the unique power of threatening and punishing or incentivizing and rewarding whatever it pleases. And with its “fiat money," it can buy up support, bribe, and corrupt more easily than anyone else. Certainly, an extraordinary institution such as this will have the means at its disposal, legal and financial, to deal with the challenge posed by a limited government industry. Historically, the State has successfully dealt with far more formidable opponents — like organized religion, for instance! Unlike the Church or churches, however, the limited government industry is conveniently located and concentrated at or near the center of State power, and the industry’s entire raison d’tre is to talk and have access to the State. That is what its donor-financiers typically expect. 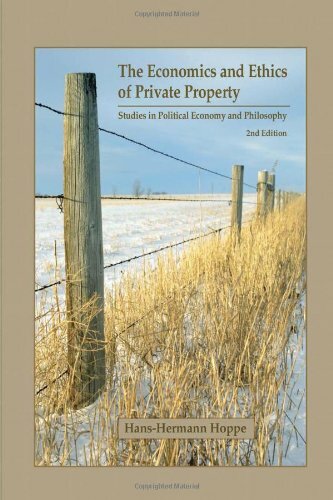 Moreover, through its cooperation with the free market industry, the State could enhance its own legitimacy and intellectual respectability as an “economically enlightened," institution — and thus open up still further room for State growth. What I learned from my experience with the Mont Pelerin Society, then, was that an entirely different strategy had to be chosen if one wanted to limit the power of the state. For socialists or social-democrats, it is perfectly rational to talk and seek access to the State and to try “marching through its institutions," because the Left wants to increase the power of the State. That is, the Left wants what the State is disposed to do anyway, by virtue of its nature as a territorial monopolist of law and order. But the same strategy is inefficient or even counterproductive if one wants to roll the power of the State back — regardless of whether one wants to roll it back completely and establish a stateless natural order or roll it back only “sharply” or “drastically” to some “glorious” or “golden” status quo ante. In any case, this goal can only be reached if, instead of talking and seeking access to the State, the State is openly ignored, avoided and disavowed; and its agents and propagandists are explicitly excluded from one’s proceedings. To talk to the State and include its agents and propagandists is to lend legitimacy and strength to it. To ostentatiously ignore, avoid and disavow it and to exclude its agents and propagandists as undesirable is to withdraw consent from the State and to weaken its legitimacy. 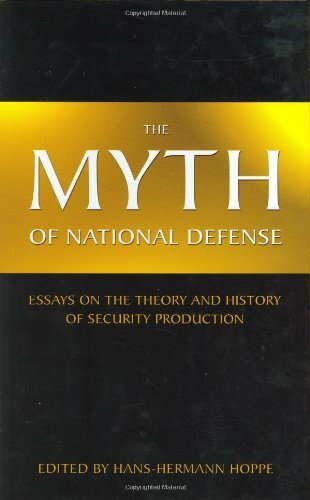 In sharp contrast to the Mont Pelerin Society and its multiple offspring, which wanted to reform and liberalize the welfare-warfare state system from within — pursuing a “system-immanent” strategy of change, as Marxists would say — and which failed precisely for this reason and was instead co-opted by the State as part of the political establishment, my envisioned society, the Property and Freedom Society was to pursue a “system-transcending” strategy. That is, it would try to reform, and ultimately revolutionize, the ever more invasive welfare-warfare State system from the outside, through the creation of an anti-statist counterculture that could attract a steadily growing number of defectors — of intellectuals, educated laymen and even the much-cited “man on the street” — away from the dominant State culture and institutions. The Property And Freedom Society was to be the international spearhead, the avant-garde, of this intellectual counterculture. Central to this counterculture was this insight into the perversity of the institution of a State: A territorial monopolist of law and order that can make and change laws in its own favor does not and cannot, without assuming miracles, protect the life and property of its subjects (clients); but is and always will be a permanent danger to them — the sure road to serfdom and tyranny. On the other hand, negatively, it was to unmask the State and showcase it for what it really is: an institution run by gangs of murderers, plunderers and thieves, surrounded by willing executioners, propagandists, sycophants, crooks, liars, clowns, charlatans, dupes and useful idiots — an institution that dirties and taints everything it touches. For purposes of full disclosure I must add this: At the urging of my friend Jesus Huerta de Soto, who had been inducted at a very young age into the Mont Pelerin Society by Hayek personally, I reluctantly applied for membership sometime in the mid-1990s. Besides Huerta de Soto the late Arthur Seldon, who was then Honorary President of the Mont Pelerin Society, had endorsed my membership. Nonetheless, I was turned down — and, as I must admit, deservedly so, because I simply did not fit into such a society. Previous article by Hans-Hermann Hoppe: Want To Learn Austrian Economics? Want To Learn Austrian Economics?